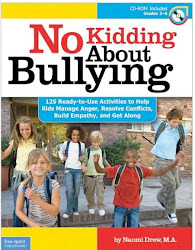 The prestigious School Library Journal has just named No Kidding About Bullying an "essential resource on bullying for educators," citing it as a tool for prevention. The frequency and intensity of recent bullying incidences point to a pressing need for more proactive preventative measures. 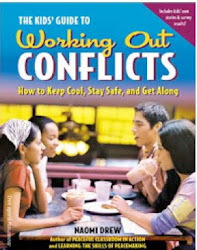 Schools, families, and society in general can't merely respond to bullying when it occurs. We absolutely have to put in place programs that stop bullying before it even begins. Compassion, kindness, and acceptance need to be taught with the same depth of commitment traditionally reserved only for the basics. But think about it -- what's really more basic than the need for people to treat each other with compassion, decency and respect? We need look no further than recent headlines, including the shameful attack of 13 year-old Nadin Khoury in Philadelphia this week, to see that whatever we're doing about bullying simply isn't enough. 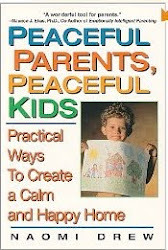 My deepest hope is that this book will be one of many wonderful resources that will help turn the tide.